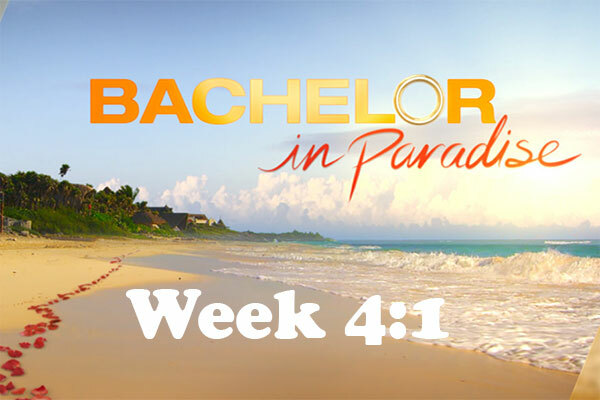 It’s time for another week of Bachelor In Paradise. I’m going to write my thoughts as I watch and I’ll give my weekly assessment at the end of tomorrow night’s episode. Also, keep a look out for my review of “UnREAL”, a fantastic show on Lifetime that gives a fictional (albeit likely very accurate) account of what goes on behind the scenes of The Bachelor franchise based on the experiences of a former producer of the show. I’ll give you my thoughts and let you know how you can watch UnREAL now that the first season has ended. What’s with all the scary music and the crabs? Is this BIP or the worst low budget horror movie ever? Jared gets JJ to take it down a notch with regard to Joe. Damn. I was really hoping Joe would get clocked. Jorge, the bartender, and Joe sit down for a heart-to-heart so Joe can explain to him that Samantha knew what he was going to do in order to stay in Paradise so he could meet her. Jorge looks like HE needs a drink. Oh, Joe. It’s one thing to come to Paradise to meet a specific person and screw over a widowed single mom in order to do so, but I’m not sure you’ll ever be able to redeem yourself in my eyes after using the non-word “conversate”. The word you’re looking for is “converse”. Juelia’s worried she’s going home. Joe suddenly has an attack of conscience. Samantha tells him to forget about it and to focus on their relationship. It’s starting to seem like Sam is the mastermind behind this whole scheme to get Joe to stay in Paradise no matter the cost. Maybe Joe isn’t as much of a psychopath as we were led to believe last week. Ah, Bachelor producers. How you love to f*ck with our minds. One week someone’s the devil, the next week we find out they’re not AS bad as we thought. The rose ceremony is coming up. Jade mentions something about the group needing to clear the air. Obviously, she’s talking about what Joe did to Juelia. Finally, Joe cops to knowing Sam before the season started but neither he nor Sam are willing to admit that Sam told Joe to do whatever it took to stay in Paradise. Tanner, Sam, Joe, and Jade go off to have a private conversation about the Sam/Joe situation. Weirdest double date ever. Sam refuses to admit the truth even when presented with evidence that she knew Joe would do whatever it took to stay in Paradise in order to meet her. Sam’s not making herself look good at all. Ashley I. is done with the Joe/Sam drama. Jared and Ashley I. have a tete-a-tete. Jared definitely seems like he doesn’t want to be there. But he kisses her anyway. Did anyone else notice that Ashley is wearing what looks like the “Heart of the Ocean” necklace from Titanic in her ITM when she was talking about how good Jared’s kisses are compared to Chris Soules? WTH? I’m really getting tired of the rest of the cast obsessing about Joe and Samantha. Don’t these people have anything better to do? Seriously, go make out people. Everyone’s trying to figure out a way to get Juelia to stay but there are 10 girls and 7 guys handing out roses. Honestly, I don’t know who’s going to come on the show and be the right guy for Juelia so why should she stay? Everyone keeps saying how Juelia deserves love but I’m not sure if this is the right place for her to find it. Ooooo. Juelia asks Chris Harrison to bring back Mikey because Joe f*cked her over and she didn’t get a real chance to know him. Chris says this is unprecedented. So was bringing Nick Viall mid-season on The Bachelorette and that didn’t stop you. Bet you 5 bucks Mikey’s coming back because everyone wants to see Juelia get a real chance at love. Dan and JJ are the swing votes. Juelia, Amber, Clare, Megan, and Ashley S. are on the chopping block. Jared gives his rose to Ashley I.
JJ gives his rose to Ashley S.
JJ suddenly decides to leave Bachelor in Paradise because the girl he really wants is back home in Denver. Wow. That came out of freaking nowhere. But that makes room for Mikey to come back. Now, Dan just has to give his rose to Juelia. Pretty sure that’s going to happen since his main squeeze Ashley S. just got saved. Dan pulls Carly aside to talk. Why? I know he’s torn between Juelia and Amber but what’s Carly gonna do to help? Clare, Juelia, and Megan are sent packing. Well, I guess I owe everyone 5 bucks since Juelia’s gone so there’s no reason to bring Mikey back. Clare announces her retirement from Bachelor In Paradise. You go, girl. Literally, GO. Run do not walk from this silly franchise that makes you look like you’re batsh*t. Thank you, Jesus! no more conversations with drunk racoons. Wait! Hold the phone! Mikey’s back from the dead! Chris Harrison gives him and Juelia a second chance at Paradise. Give me my 5 bucks back! Everyone’s excited Juelia’s back and she’s got another opportunity to find love… except Joe and Samantha. Joe: “This made me look like the biggest villain in the world… Because she’s the widow… with a single child here for love…” Wait, her child is single too? That family is cursed, I tell you. Earth to Joe, you made yourself look like a villain by lying to Juelia’s face and making her think you were really into her just to get a rose so you could stay and meet Samantha. Juelia and Mikey coming back doesn’t change that. Plus, shouldn’t you be happy for Juelia since you did actually really hurt her? And, oh, I’m sorry, Samantha for all the “drama” but 1) you and Joe are largely responsible for it and 2) What show do you think you’re on? Despite its claims to want to help people live happily ever after, the Bachelor franchise’s main goal is to generate drama and conflict so people keep watching. Get a freaking clue. Tanner gets a date card. He asks Jade out. Obviously. Tanner says he wants to talk about their future but he’s worried about getting his heart broken. They take a jet and car to Tequila, Mexico. I guess they make tequila there. Go figure. Tanner does a whack job of whacking the agave plant which I assume is part of the process of making tequila. Meanwhile back in Paradise, Joe and Samantha are falling in love. Gag. I have this gut feeling they’re going to have a dramatic falling out before the season’s over. Samantha will hate that. You know, the drama of it all. A new guy arrives. Nick Peterson from Ashley’s season??? That was so long ago. I don’t remember this guy at all but, apparently, Joe’s not the only one Samantha texted before coming on the show. Nick says he and Sam texted before the show and she would be at the top of his list when he got his date card. And Nick says he doesn’t have a problem stealing someone’s woman. Nick’s only here for Samantha cause she’s a “smoke show”. Is it because she’s good looking or she’s recently back from visiting her soul that the devil keeps in a jar on his desk in hell? Oh, snap. Samantha told Nick before the season started that she would go out with him if he asked her. And, slam! She denies Nick the date. Nick finds out that Sam was talking to him AND Joe. Nick seems pretty unphased by it though. Nick has good energy about him. He asks Ashley S. out instead. They are supposed to go to a private island but when they get to the dock, a man who doesn’t speak English very well informs them that the island is closed. Ashley says she doesn’t understand Spanish and can’t understand what the guy’s saying. But he’s speaking English soooo… what’s the problem exactly? He told you the island was closed because it’s dangerous. I heard him just fine which means he was probably miked so the producers set them up on this date knowing the island was closed prior to their arrival. Nice. Apparently, Hurricane Carlos is moving in. At last! They’ve started naming hurricanes after men. We’re one step closer to gender equality. Baby steps. Back on Jade and Tanner’s date, Jade and Tanner get a pseudo fantasy suite key. They accept. Nick and Ashley S. go to a spa since the island is closed. They drink a bottle of tequila to cover up the fact that they have absolutely nothing to talk about while they wait for a masseuse. After that, they make out in a hot tub. Despite them not having much to say to each other, Ashley claims she and Nick have more chemistry than any other couple in Bachelor history. Granted, she’s very, very drunk. Crazy and alcohol don’t mix. Wow. Tanner does not have a way with words. He tries to tell Jade he’s falling crazy hard in love with her and wants a future with her but in the same breath says he feels like they may go their separate ways at the end of the show. Fortunately, Jade can read between the lines of his poor man-speak and reassures him that she’s feeling the same way and they’re on the same page. Back at the Paradise hut, we find out today is Joe’s birthday. I hope Sam dumps him. According to Tenley and Dan, Joe is a wee bit obsessed with Samantha and is following her around like a puppy dog. Sam is having doubts about Joe because he’s “not being made out to be the best person” by the rest of the cast. Oh, screw off, Samantha. You told him to do whatever it took to stay in Paradise and he did. Own up to your sh*t, honey. The cast’s opinion is that Samantha is distancing herself from Joe. Bring on the bad birthday, bee-otch. Jared tells Mikey he’s not over Kaitlyn and that it’s “just not there” with Ashley I. He’s going to break it off with Ashley. I forecast a 100% chance of waterworks. Ironically, it starts raining as Jared gives her the axe. And Ashley immediately tears up. More whining about how no guys she likes ever like her back. Oh, God. Ashley calls Kaitlyn and tells him Jared is obsessed with her. Honestly, I don’t think Kaitlyn is the only reason Jared’s not into Ashley but she seems to think the only thing standing in the way of her forever with Jared is his “obsession” with Kaitlyn. Kaitlyn asks if there’s anything she can do to help. This should be good. Joe has set up a birthday/pity party for himself complete with cake. Sam is the only person invited. Samantha is wondering why there’s so much drama in her life and the only new thing in her life is Joe. You know what else is new in your life, Sam? Bachelor in Paradise where drama is the name of the game. Sweet! Sam breaks up with Joe on his birthday. My DVR cut off at this point so I didn’t get to see the preview for tomorrow night’s episode or if anything else happened in the last 30 seconds of the show. Frowny face. I’m hoping we’ll get to see what Kaitlyn does to try to help Jared get over her so he can feel free to follow his nonexistent feelings for Ashley I. Be sure to check back tomorrow. 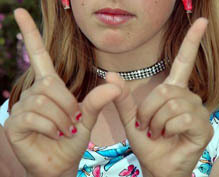 My blog should be up by early Tuesday morning. My readers are really important to me and the best way to find me again is to subscribe to my blog. You’ll get a confirmation email. Click the confirmation link. You’ll get an email whenever I’ve posted a new blog. That’s all there is to it! No spam from me EVER. Cross my heart, hope to die. Subscribe to my blog and earn my undying loyalty and devotion! If you don’t want to subscribe, you can also bookmark my page or Google “cafe emily bachelor”. My blog should come up at the top of the list. I’ve been seeing some search terms people use to find my site and discovered people are having trouble finding me. My favorite search term is “cafeteria emily”. That gave me the giggles. I love my readers! I also really value your input so please, leave me a comment. Good or bad, I respond to all comments. I’ve noticed that I’m getting visitors from all over the world so if you’re not a native English speaker, please, don’t let that stop you from posting! Your English doesn’t have to be perfect. I still want to hear from you! Talk to me Bachelor Nation. OfficeStace.com – She does a nice, short and to the point spoiler-free recap. IHateGreenBeans.com – Thorough, spoiler-free recaps. Super nice lady too! BachelorBurnbook.com – A compilation of the funniest tweets about Bachelor in Paradise. Reality Steve – SPOILER ALERT! Reality Steve is pretty caustic and I don’t necessarily agree with how he treats people on The Bachelor/ette franchise in his writings, but he’s entertaining nonetheless and he’s got his finger on the pulse of all things Bachelor. Chris Harrison’s Blog – I don’t think he actually writes it but his ghost writer is damn clever, especially about BIP. Great one liners, as usual, but the use of Mr. Burns sent me over the edge! And I was really looking forward to that $5!